RiverCourt opened this new facility in September of 2013. 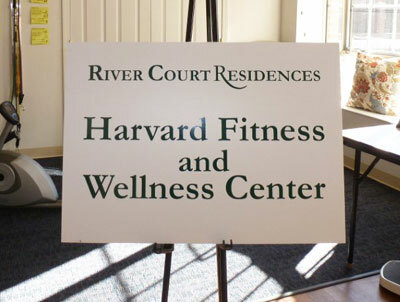 The Harvard Fitness and Wellness Center, exclusive to the residents of RiverCourt, offers a large, airy space for our daily exercise groups as well as weekly classes in Yoga, Tai Chi and Matter of Balance. 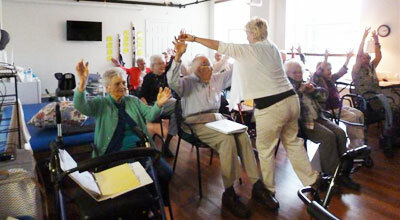 On Fridays, it houses our weekly Wellness Clinic. 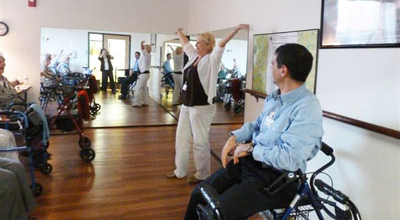 The Center is also equipped with a therapy table, providing a large, private space for one on one sessions between Physical and Occupational Therapists and RiverCourt residents receiving these services. The Harvard Fitness and Wellness Center has proven to be a great addition to our RiverCourt campus, and we continue to add to the activities we are able to offer within the facility.